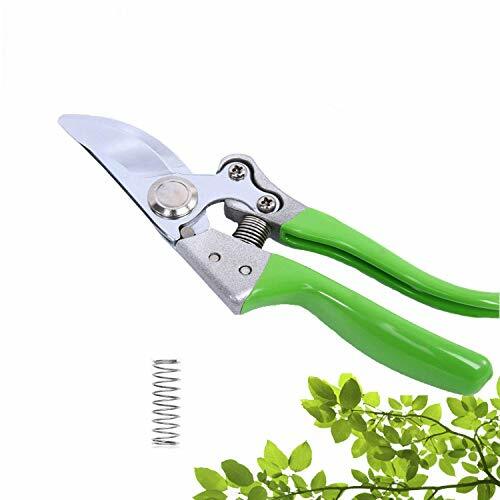 BOBKY Sharp Bypass Pruning Shears, Tree Trimmers Secateurs, Hand Pruner, Garden Shears, Clippers For The Garden -----Your Great Assistant to Your Garden! Dimensions: Pruners: 8.27", Handle: 4.7", Head: 3.5"
✔ Your Satisfaction is important for us! BOBKY Provide you One-Year Warranty, Buy Now For a better pruning! If you have any questions about this product by BOBKY, contact us by completing and submitting the form below. If you are looking for a specif part number, please include it with your message.